In previous years we have had an amazing group of people who joined the fight for memories and raised funds for Alzheimer’s research at the HBF Run for a Reason. We are really grateful for that support. The money raised has helped ensure we can continue to work towards our shared vision – a world without Alzheimer’s. Your ongoing support means a lot to us. You can make a difference by fundraising for McCusker Alzheimer’s Research Foundation in the HBF Run on Sunday 22nd May. Money raised from this event will continue to fund the Foundation’s important projects supporting internationally acclaimed Alzheimer’s disease research. Continue the fight for memories. 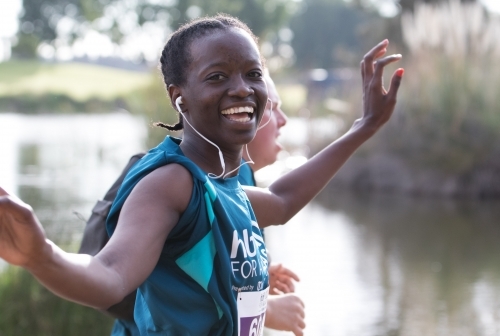 Register now to participate in the HBF Run. Click the Register Now button below to go straight to the HBF registration page. You can make your participation count by raising money for Alzheimer’s Research. During the registration process you can select to fundraise for McCusker Alzheimer’s Research Foundation and have your own fundraising page automatically set up for you. It’s easy! If you can’t compete but would still like to support research for Alzheimer’s disease, you can make an online donation through the McCusker Foundation Miles for Memories Everyday Hero page here. All money raised through the run will help us continue our important research work towards a world where Alzheimer’s doesn’t exist.